4 How to reach Vagamon for paragliding? Vagamon is an adventurous destination located at the border of Kottayam & Idukki districts of Kerala State in India. Paragliding is the most important adventure sports in this hill station. Paragliding starting point is near Vagamon meadows in Idduki district. Vagamon Paragliding Costs is about 3500 Rs. The cost of paragliding in Vagamon is cheap compared to other paragliding destinations in India. Vagamon paragliding rates vary depending on the season. In some seasons in Vagamon, people can enjoy paragliding free of charge. Such events are sponsored by Kerala government for promoting tourism. How to reach Vagamon for paragliding? The nearest Airport is Cochin International Airport and the nearest Railway station is Kottayam or Ettumanur. Vagamon is 3hrs drive from the aiport and 2hrs drive from Kottayam railway station. The preferred method of travel will be railway because you will be able to enjoy the scenic beauty and the greenery of Kottayam with full of thick dense rubber estates. If you are travelling down from other parts of India or outside India be sure to book your train tickets well in advance (train bookings open 4 months prior to the date) since Kottayam busy railway station. If you are on waiting list keep checking your PNR status. After you book your ticket, if the official site of Indian railways is not working, you can use GadgetCouncil to check the confirmation status of your PNR. Also, be sure to carry your travel gadgets and some cash along. Though paragliding at Vagamon is not going to cost you much, since Vagamon is more of a village there are only a few ATMs, so be sure to have enough cash. 1. If you go to Vagamon, take enough money with you. They are a few ATMs in the city, but they can easily drain when you are doing weekend or during the long vacation. 2. Fill in sufficient gasoline / diesel in your vehicle. 3. 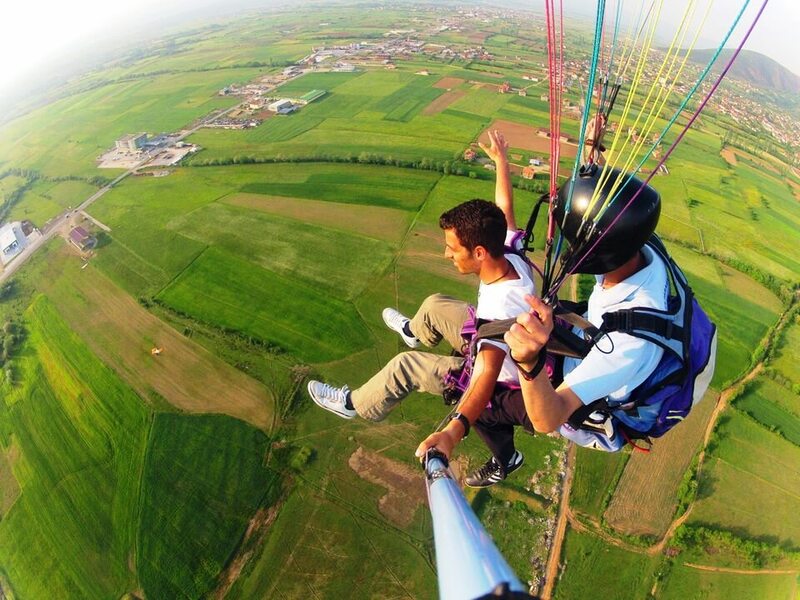 For paragliding, wear full sleeves clothes and running / sports shoes. 4. Tones / Sunglasses are recommended. 5. Wear a good sunscreen and use them frequently. If you want to fly as a free bird in Kerala, paragliding is the only option for you. Vagamon is a popular hill station suitable for paragliding. From the earliest times, man has always dreamed of raising in the sky, free as a bird, unlimited in his movements and feelings, and connected with nature. In contact with the sky and the landscape around has always attracted the mind. It was out of this passion for reaching high heights that invented the concept of Paragliding which has become a beautiful flying sport all over the world. The ease Agasthyakoodamand simplicity of paragliding makes it one desirable sport that has gained international recognition. Thanks to this concept, it is now possible for the ordinary man to experience the thrill of flying. Paragliding at vagamon is a relatively new sport in India and especially in Kerala. In the world of flying, paragliders are one of the newest and hottest adventures sports. Today, paragliding has become as popular as an adventurous activity like other sports such as diving, windsurfing, rafting, trekking, mountain climbing, cycling, skiing and many other adrenaline pumping land and water adventurous sports. A paragliding holiday in hilltop destinations is a welcome activity for adventure lovers. The paragliding season begins from September and offering great flying conditions until January and again, from March to May. Wagamon has a cool climate for most of the time of the year. For those who want to learn paragliding, there are a few good paragliding schools in North and South India. It is important that they obtain the required information and understand the risks involved in the sport before taking the exciting activity.